What's wrong with real 3D? 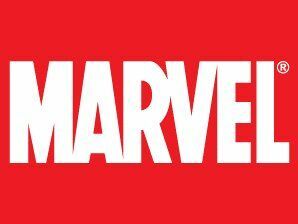 Marvel Studios has announced that it will be using 3D for two of its biggest movies this year, but it won't be filming the movies with 3D cameras. are hoping that these movies will change opinion. "We came to feel that in our case 3D could be the very good friend of story and character for a different kind of experience," explained Kenneth Branagh, the director of Thor to the LA Times. "I had a healthy degree of scepticism up front [but] I've become somebody extremely excited about working with possibilities of doing it this way." To help with the 3D process, Branagh has been working closely with special effects supervisors to make sure that 3D is part of his filmmaking process, noting that the special effects in the movie will be "true 3D". As for Captain America, director Joe Johnston is less-than impressed with the 3D he has seen, saying: "I think it tends to be overused and can be a little bit gimmicky. "A lot of people are using 3D now because they feel have they have to... that will come and go and the pictures that deserve to be in 3D will continue to be. When it's done bad, it can make you carsick." "When you're working with a director like Ken Branagh or Joe Johnston, they're not going to settle for less than perfect image. "They're not going to settle for something that isn't up to the artistry of everything else they've done on the film ... they're not going to put on some overlay in the last 10 to 12 weeks of post-production for a fiscal reason." At the moment filming natively in 3D is just too expensive for Hollywood studios, so it will be interesting to see when both Thor and Captain America are released if they managed to create a decent enough compromise.